Platinum Performing Arts' Tap classes follow the ISTD (Imperial Society of Teachers of Dance) Tap syllabus. Teaching the syllabus allows our students to take part in some of the practical assessment standards, starting with Pre-Primary, Primary and Grades 1 to 6. Higher Grades reach to 7 and 8. In order to indicate the increasing order of difficulty, 8 represents the highest level of attainment. The assessment is pre-arranged by the Imperial Ballet Faculty, to music commissioned to support the tap form. Tap has evolved from an American Dance form, popularised throughout the world. 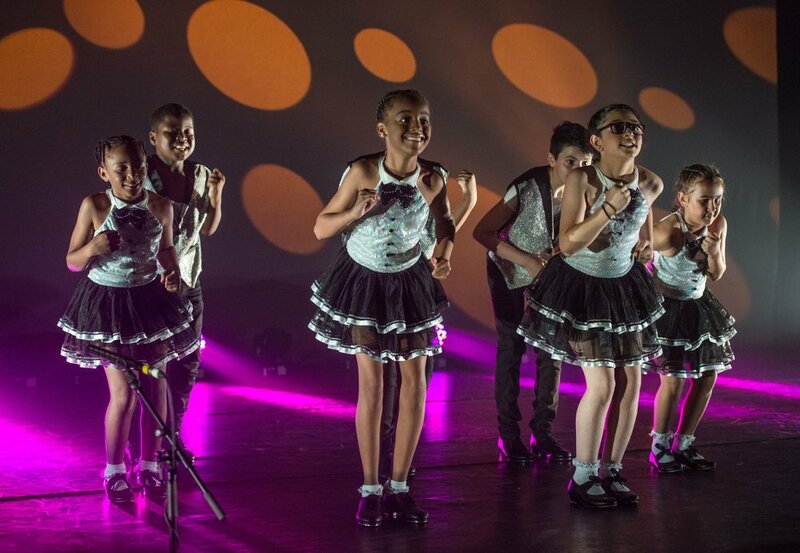 Students are taught how to use their feet to strike the floor, beating out different rhythms, with dancers wearing industry standard Tap shoes, which have small metal plates on the toe and heel to give a distinctive sound. Tap dance is a very theatrical art form often seen on stage in musicals.